Five years have passed since the U.S. and its allies invaded Iraq, and true democracy has yet to come. Four million Iraqis have been displaced; half are living in desolate tent camps, the others mostly stuck in Jordan and Syrian. All face uncertain futures. 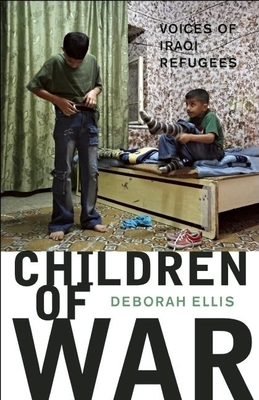 In this book, Deborah Ellis turns her attention to the war's most tragic victims Iraqi children. She interviews more than 20 young Iraqis, mostly refugees living in Jordan, but also a few trying to build new lives in North America. Some families left Iraq with money; others are penniless, ill, or disabled. Most of the parents are working illegally or not at all, and the fear of deportation is a constant threat. The children speak for themselves, with little editorial comment, and their stories are frank, harrowing, and often reveal a surprising resilience in surviving the consequences of a war in which they played no part.